Owl Creek Gazette: Terra Mater, the Owl Creek Gazette and Saturday Mornings! Terra Mater, the Owl Creek Gazette and Saturday Mornings! 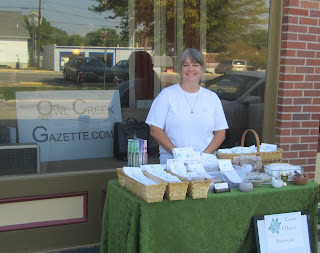 Starting THIS Saturday, August 25th, and every Saturday for the next several weeks, Roxanne Bare, columnist for our magazine and owner of Terra Mater Botanicals, will be setting up a 'booth' in front of the Owl Creek Gazette office (208 South Second Street in downtown Greenville) from 9am-noon to display her wares. Packaged herbs, teas, and other botanical and herbal related items will be offered for sale this Saturday and each Saturday through September. Folks in the area are invited to drop by and check out the goodies ... then come on inside to see what new products are available at the Owl Creek Gazette and Don's Uniques and Repairs as well! 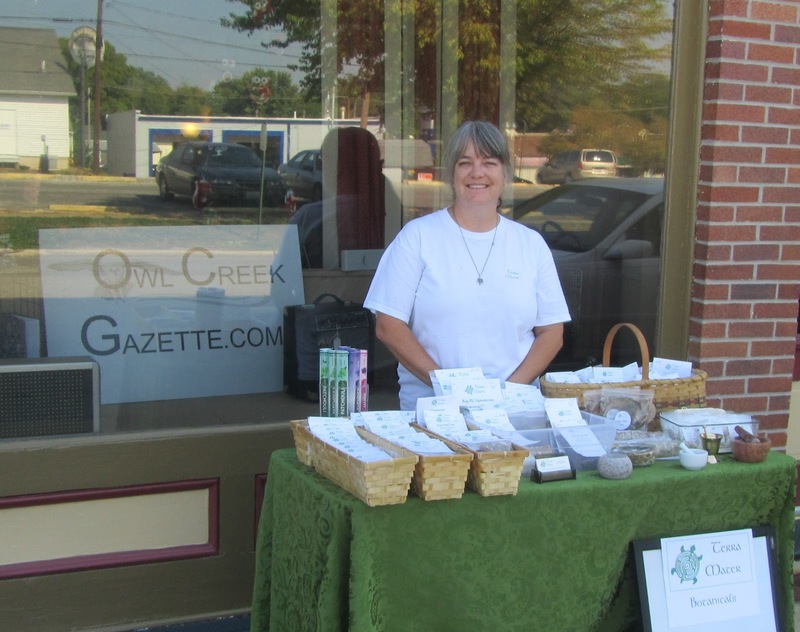 Note: In case of rain, Roxanne will move her products inside the OCG office ... so rain or shine, come on by! I am looking forward to this. Been busy the past couple of days going over what I already have packaged up and deciding what other goodies to bring with me.